Artists, celebrities and everyone in between are all drawn to California’s Central Coast. The region offers a good mix of urban and rural. Dominated by the Santa Lucia Mountains, the sparsely developed Big Sur region gives nature room to breathe. Drivers need travel only 30 miles south of Monterey on Highway 1, considered an American National Scenic Byway, to see the beautiful rocky Big Sur bluffs, redwood forests, canyons, waterfalls, secluded beaches and sheer mountains — and gain access to several state parks south of Carmel. A great time to visit Big Sur is in the fall, when humpback and blue whales migrate from Alaska to Mexico and California condors fly above. On the southern part of Big Sur, elephant seals, protected by the Marine Mammal Protection Act, congregate to mate in the winter months. 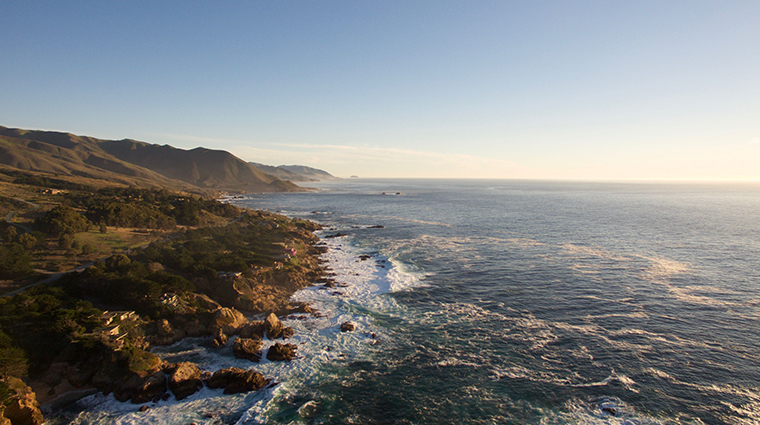 From Carmel to Santa Cruz, this area offers sandy beaches, charming towns and one of the best marine environments — Monterey Bay. What’s known simply as “Carmel” is divided into the town (officially called Carmel-by-the-Sea) and Carmel Valley Village, about 13 miles inland. The former, whose famous mayor was Clint Eastwood, almost looks like a movie set. It’s that perfect — some say too perfect. You’ll find luxurious accommodations, plenty of restaurants, tidy shops and art galleries. The valley is more dusty and sleepy — and full of wonderful tasting rooms. Since the wineries in this area are very spread out, their tasting rooms are clustered here, all pretty much within walking distance of each other. A mélange of Mexican, New England, sea, mission and ranch makes Monterey uniquely Californian in its culture and history — the first state constitution was written here. Once a whaling and sardine center — inspiring the novels Cannery Row and Sweet Thursday by John Steinbeck — overfishing depleted the bay of sardines and emptied the canneries. The row is now dominated by an aquarium, restaurants and art galleries, while Fisherman’s Wharf is the launch point for fishing and sightseeing trips and home to the bay’s famous sea otters. The small town of Pebble Beach is known for its scenic beauty, the palatial houses of its residences and, most of all, its golf courses, where the annual National Pro-Amateur Golf Championship and other prestigious tournaments are held. It’s also famous for the scenery along 17-Mile Drive, which stretches from Carmel to Monterey.